All program participants will be provided with a Letter of Invitation which may be used for visa applications. Please be aware that an appropriate visa for visits to Australia may be required. The Visa Finder section of the Department of Immigration and Border Protection’s website is helpful for this purpose. MATRIX programs are offered at the University of Melbourne’s Creswick campus, Victoria, Australia. 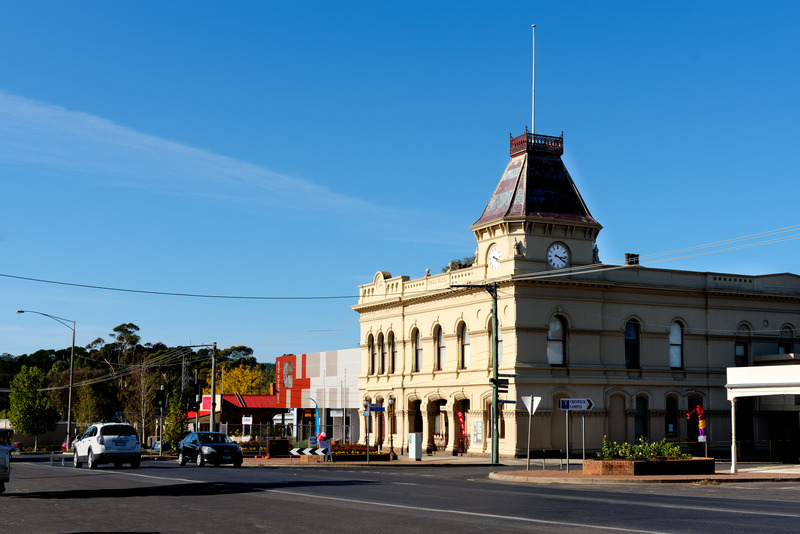 To get to Creswick, participants should arrive at Ballarat (Train) Station by 20:50 (Australian Eastern Standard Time – AEST) the day before your program commences. 1. MATRIX will arrange a bus transfer (in advance) for you from the station to MATRIX. 2. MATRIX concierge will meet you at Bus bay 3 at 10:15, 14.15, 18:40 and 20.50 (AEST). 1. Bus route No. 30 travels from Ballarat to Creswick (20 minute bus ride). The closest stop to MATRIX is in the corner of Raglan St and Albert St with a moderate uphill walk. 2. A taxi can be booked from the Ballarat (Train) Station to MATRIX. 3. If you are coming from Melbourne CBD, some of the VLine train from Southern Cross Station to Maryborough stops at Creswick Station. From the station, it is 1km walk to MATRIX with a moderate uphill towards the end. If you require any assistance during travel; MATRIX staff can be contacted via the number on your letter of invitation. Upon arrival at Melbourne (Tullamarine) Airport, the easiest way to travel to Ballarat (Train) Station is via the Ballarat Airport Shuttle which terminates at the station. Arriving at the airport between 07:30 and 18:00 (AEST) will coordinate with the shuttle bus service. Shuttle bus tickets can be purchased online (it is highly recommended to purchase tickets in advance). The last shuttle bus from the airport to the station is approximately 19:00 on Sundays and 21:00 (AEST) on weekdays. For late arrivals, or delayed flights, it is best to book into an airport hotel and catch the shuttle bus the next morning. Trains/Buses depart from Southern Cross Station, Melbourne to Ballarat. The Public Transport Victoria (PTV) website has information on purchasing a Myki Card (travel ticket) and departure times for trains and buses to Ballarat. Participants may arrive and check-in at the accommodation on any day at any time during the program. Before the program commences, participants will be given access codes to their accommodation facilities. Upon conclusion of the full program, MATRIX will organise transport to Southern Cross Station (Melbourne CBD) via Melbourne (Tullamarine) Airport for all participants. Precise details will be communicated to participants prior to the commencement of each program. On the day of your departure, please vacate the room by 10am.